Zanussi fridges offer an A or A+ energy rating so you can do your bit for the environment and save some money on your energy bills. With a range that spans a variety of shapes and sizes, from small under-counter fridges to taller models, Zanussi cater to a wide-range of needs and even the smallest kitchens. Zanussi’s auto-defrost feature will save you time and energy and the shelves and door balconies can be removed for easy cleaning – simply pull them out, rinse then slot them back into place with the minimum of hassle. 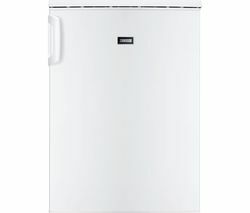 The popular Zanussi ZBA15021SA integrated fridge has a capacity of 146 litres and plenty of smart storage features that allow more storage space than its relatively compact exterior might suggest. This intelligently designed fridge has three safety glass shelves, a salad crisper, a removable egg tray, and four-door balconies which allow for easy organisation. A reversible door gives you more freedom when positioning your Zanussi fridge. Zanussi fridges also come with a one-year manufacturer's warranty but with its auto defrost feature you're unlikely to need it as your fridge will be long-lasting. 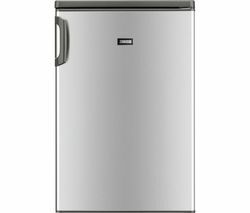 If you're looking for something which is even more of a space saver consider our range of mini fridges. With capacities ranging from 50 to 130 litres, you won't have to compromise quality or storage for convenience. With Smeg mini fridges boasting both an icebox and a wine rack, as well as auto-defrost you'll forget that it is, in fact, a mini fridge. With retro designs in bold colours, you can make a statement with these fridges and they're perfect for keeping drinks and snacks chilled for parties. For those who are a little more party focused, or just wine enthusiasts, you can browse our range of freestanding wine coolers. Stoves offers a sleek, space-saving design that holds 7 bottles, or if you're more of a connoisseur you may prefer the Husky Reflections Wine Cooler with a capacity of 24 bottles and a temperature range of 5-18 °C.